Sometimes a blank sheet of paper or a canvas can be a terrifying prospect. Some would-be artists find the start of the process paralysing and end up doing nothing at all. Regardless of how old we are, sometimes it’s helpful to be guided in how to begin, without stifling that all-important creativity and originality. 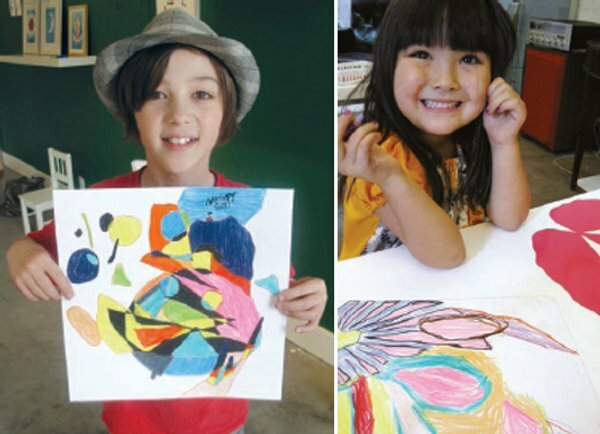 LA installation artist Karen Kimmel started out giving her Art of Exchange stencil workshops at a not-for-profit art centre. Working with eighty adults with developmental disabilities, the group produced over 200 artworks. This success was attributed to the stencils being a safe springboard from which the artists could then explore their abilities further. Kimmel then created a kit for children to allow them to unleash their creative power without placing limits and boundaries on the end result. 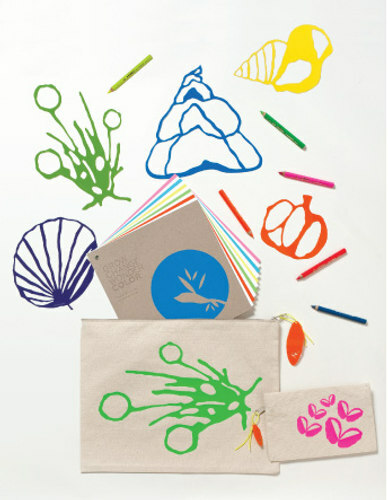 The stencils in the kit form organic shapes which can be arranged in many ways to produce all kinds of artworks. The Kimmel Kids Exchange Collection features two stencil kits with three stencils in each. There is an activity book with twelve templates, plus five die-cut shapes for crafting. Beautifully printed cases hold the stencils and the six neon pencils which complete the kit. You can buy the lot as a kit for US$120, or piece by piece, with prices ranging from US$12 for the pencils set, to $28 for a stencil set, from A + R Store.